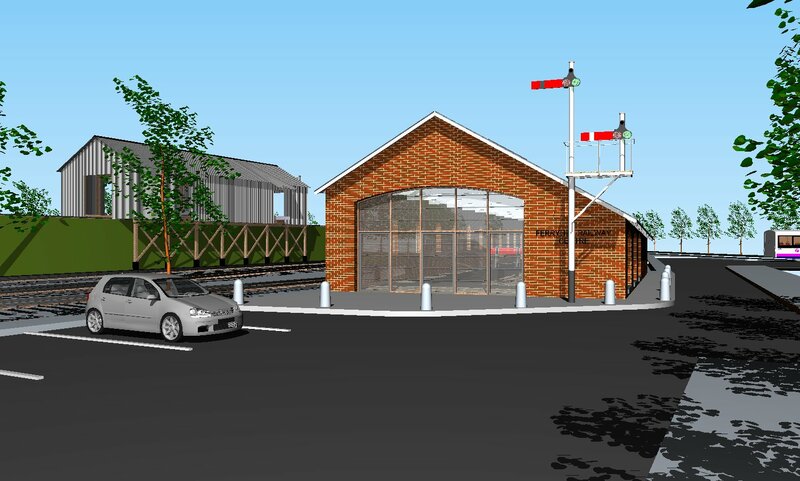 The Barrack Charitable Trust, funded by Knight Property Group, have donated £5000 to the Ferryhill Railway Heritage Trust to help with urgent repair works of the 1850 Engine Shed. Established in 2008, the Aberdeen based charity operates a Heritage Centre which celebrates Aberdeen’s Railway culture through the years. Members and volunteers of all ages and walks of life come together and enjoy participating in a variety of restoration projects. One of the objectives is to pass on heritage skills which are in danger of being lost. These include the restoration of the Ransomes and Rapier 1906 Turntable which is nearing completion, restoring Victorian railway carriages and more recent, locomotives and a crane. This is in addition to the variety of mechanical engineering, woodwork and building skills members learn throughout the projects. Dr Jon Tyler, Chairman of the Ferryhill Railway Heritage Trust said “Thanks to The Barrack Charitable Trust we are able to embark on a programme of urgent repairs to the roof of our 1850 Engine Shed. Chairman of The Barrack Charitable Trust, James Barrack comments: “The Ferryhill Railway Heritage Trust encompasses many of the ‘purposes’ in which The Barrack Charitable Trust was established for. “FRHT encourages community development including urban regeneration and the provision of recreational facilities. The combination of these projects mixed with the educational developments for members makes the charity unique here in the North East. The FHRT aims to establish a working museum and centre for education showing the rich industrial past of Aberdeen. To find out more about The Ferryhill Railway Heritage Trust visit http://www.frht.org.uk/index.html. For more information on The Barrack Charitable Trust visit http://thebarrackcharitabletrust.co.uk.